Bengaluru is one of the most prosperous and dynamic cities in India. But is it built for it‘s citizen needs? Are you satisfied with the way the city is developing or do you feel something should change in another direction? 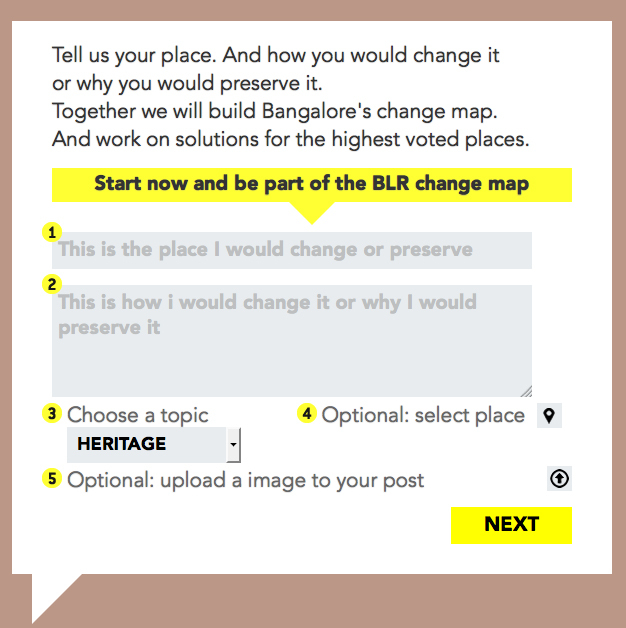 What will future Bengaluru look like if you are involved in shaping the future? Gatishil Space is getting ready! Something „gatishil“ is coming up! 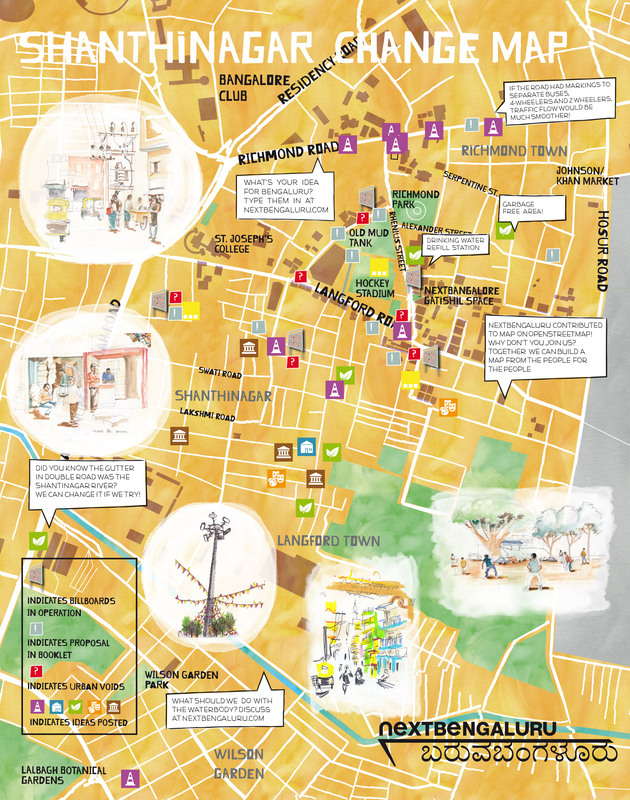 From december 2014 until march 2015 Nextbangalore Gatishil developed future visions for Shanthinagar! Nextbangalore Gatishil provided a temporary studio and laboratory and a mobile waggon which toured the neighborhood. 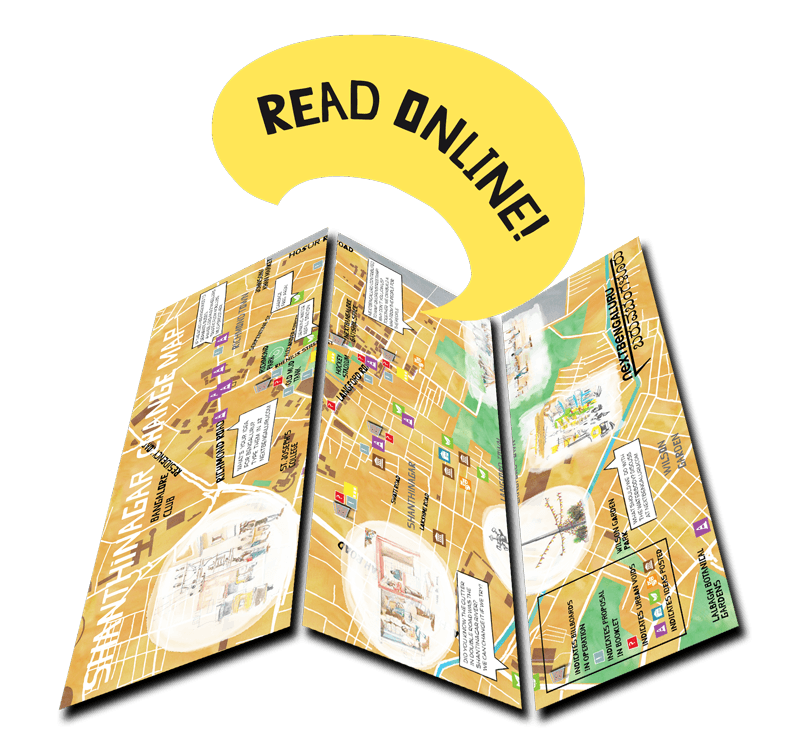 You can now read the results or download the publication right here. This step of the Nextbengaluru process is over, but Nextbengaluru will continue! Join us with your ideas and visions and be involved in designing proposals for future Bengaluru. Check here for events and workshops. Click the events for details. Click on the image of the post form to submit your idea. See the latest ideas for Nextbangalore here. Nextbengaluru is a project by MOD Institute (www.mod.org.in) and the NextNetwork (www.wearenext.org).